The Biomet M2A-Magnum Hip is a metal-on-metal hip replacement system that has been implanted in patients across the country. 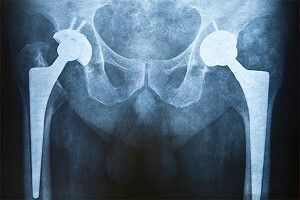 Problems have been reported which indicate that the artificial hip implant may be prone to fail within a few years of surgery. Unlike most hip implant, which consists of metal and plastic, the Biomet Magnum has three all-metal components, a metal femoral head, metal taper insert, and metal acetabulum cup. Problems can arise when the metal parts rub against each other. This can cause microscopic shavings of metal to be released into the hip joint, which could cause inflammation, loosening and other problems associated with metal hip poisoning. If you or a loved one had a Biomet Magnum Hip System implanted and have suffered complications, or experienced a hip replacement failure requiring revision surgery, you may be entitled to recover significant damages from the defective product manufacturer.